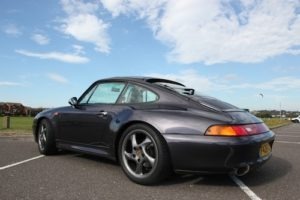 I spotted this car for sale on the 911UK forum and had to share it. At first glance, it looks like a flat nose 930 that’s been heavily customised, and from the bodywork point of view, that’s pretty much what it is, albeit with the later-type pop-up headlamps as used on the 964 Turbo 3.6S. However, it does not have a turbocharged engine. Instead, the 330bhp comes from a 3.4 litre normally aspirated engine, which means that the power will be quite different from that in an early Turbo. All this pales into insignificance, mind, when you look at the car’s wild paint job! Inside and out it’s an explosion of colour, which makes a refreshing change from the often conservative shades you find on Porsches. Hats off to the creator of this unique machine! You can see the full advert and more photos here. Sadly, the car is in the USA so I’m unlikely ever to see it. On a more mundane level, please check out my ebook which explains how Porsche ownership (maybe not this one!) can be surprisingly affordable. 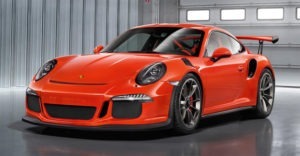 Is this my favourite Porsche 911?